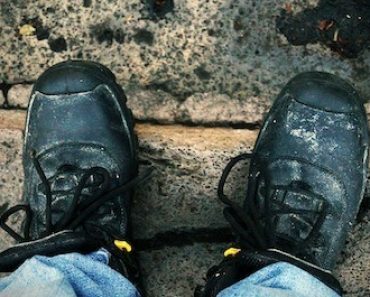 Looking to find your best insoles for work boots? In this article review the most popular and best-rated inserts for shoes that you can currently buy online. 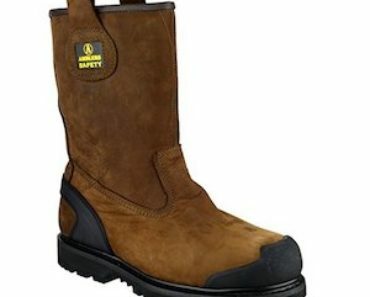 But, before that, if you want to avoid feet problems, there are a few general things that you need to know before buying a pair of inserts for work boots. There are usually three types of insoles that you can buy: comfort insoles, support insoles and custom orthotic. Comfort insoles are usually made of a soft gel or foam, which helps with shock absorbing and increases the comfort thanks to their cushioned design. They are ideal for those of us that tend to stay on our feet for many consecutive hours. My recommendation in regards to the best gel insole for your work boots is the Dr. Scholl one, you can read its review further down. The FootActive Workmate is also a great choice, not as comfortable but with great pain-relief features. Support insoles are usually made of a harder foam and helps add stability and support to a shoe, rather than just comfort. 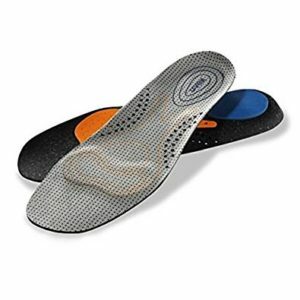 These insoles were created to help with common feet issues, like heel pain, plantar fasciitis, etc. 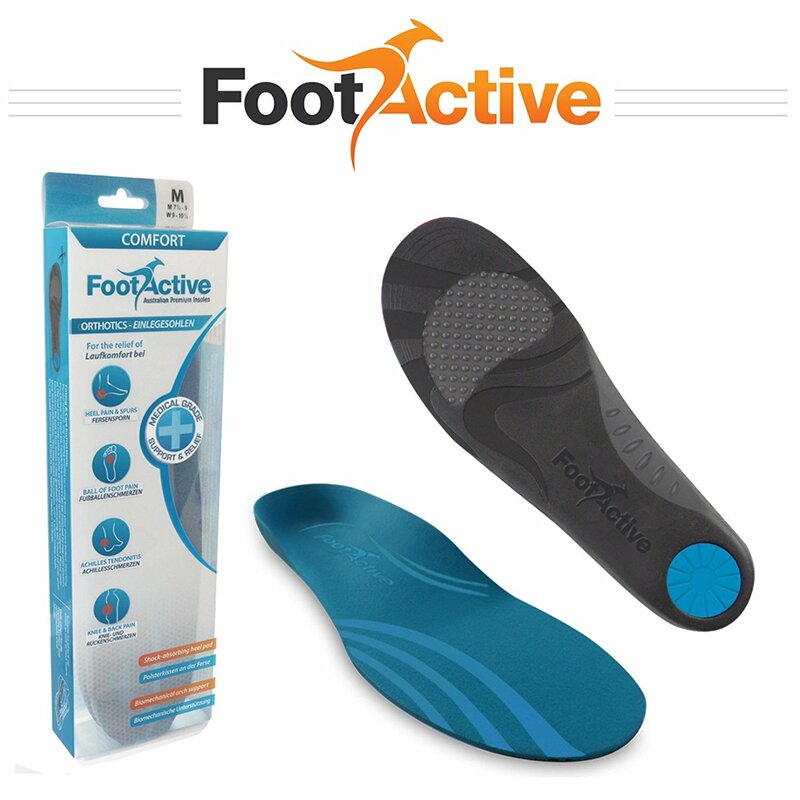 My top choice regarding the support insole is the FootActive orthotic one. The custom orthotic insoles are created to help with specific individual problems. If the comfort or support insoles won’t do the job for you, consider asking a podiatrist about a custom insole created after the shape of your feet. 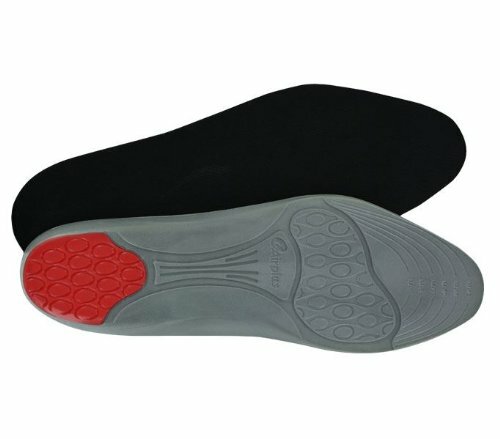 The majority of insoles that you buy are self-adjustable. You need to cut them to fit your specific size. You can simply lay them flat on the floor and step on them. Try doing some balancing exercises – that should give you an indication of how long the insole should be. Then simply get your scissor and cut it accordingly. Depending on the usage, insoles typically last anywhere from 6 to 12 months. If they get dirty or smelly, you can wash them manually using a detergent and a small brush. I wouldn’t recommend using the washing machine. Also, I would recommend to air dry them, as a regular dryer can damage the structure and foam of your insole. When talking about a pair of good gel insoles, there’s one name that pops into our minds straight-away: Dr. Scholl. 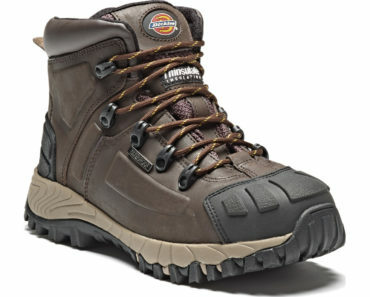 These are currently one of the best rated inner soles for work boots on Amazon.co.uk. 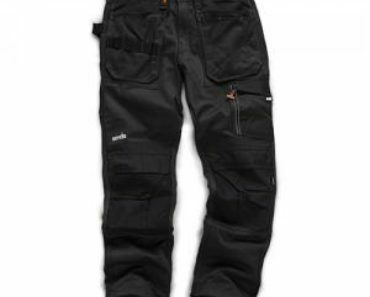 They are manufactured specifically for that working men that spends a lot of time on its feet. If you’re willing to spend around £20 on a pair of good insoles for work boots, they are a great choice. They are shock absorbant and they also shape around your forefoot, offering you a unique comfort. I currently consider them one of the best gel insoles that you can buy online. There’s one thing I don’t like about them. Although they come with a 6 months satisfaction guarantee, if, for some reason, you need a replacement or refund then you need to know that your old ones need to be sent to all the way to the USA. They are one of the best solutions if you have sensitive feets or suffer from heel pain, plantar fasciitis, achilles tendonitis or knee/back pain. While they are not necessarily being sold as insoles for work boots, I had to include them on this list thanks to their pain relief feature. These orthotic insoles feature a biomechanical arch support, a stabilising heel cup, metatarsal support and shock absorbing nodules on forefoot and heel. They are perfect for helping to correct over-pronation (inward rolling of the ankle/foot), flat feet and fallen arches. Lightweight and meant to fit all sizes so make sure you have a sharp scissor around, you do need to trim them. Yet again, might not be a typical work boot insole but the chances are, considering you’re looking for an insole, you already started to feel some sort of pain so they might be worth considering. Immediately after, FootActive came with these as an alternative for your workwear. They might prove to be one of the best insoles for work boots currently on the market. 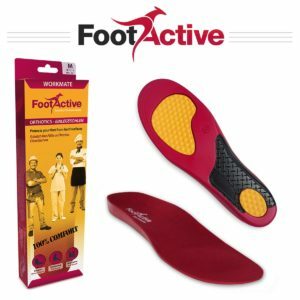 They are designed to provide to you both: the necessary comfort during a long working day thanks to their shock-absorbing heel and forefoot gel padding, while correcting over-pronation to relieve the pain. It features a microfibre and anti odour top layer, which is something I’m a big fan of. We tend to keep our work boots on for many consecutive hours so knowing this orthotic insole does everything to keep the ‘smelly feet syndrome’ away is definitely a plus. With their stabilising heel cup and a 30 days customer satisfaction guarantee policy in place (meaning you can ask for a refund or replacement in this timeframe), you get that extra piece of mind in regards to their quality. Uvex 3D hydroflex® insoles. Ultra breathable. 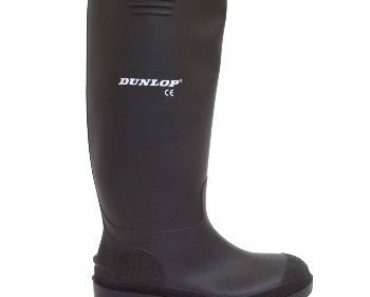 I consider them ideal for the winter cold when we tend to use a pair of sturdy work boots or wellingtons. 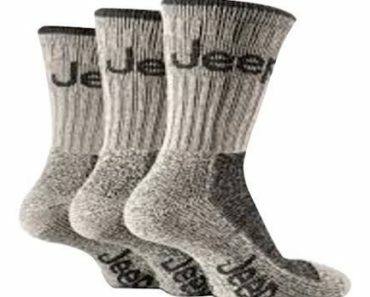 Besides that, when it gets cold, we tend to wear a pair of thick work socks. Thanks to their breathable, moisture-absorbing material and their small perforations, they offer a great ventilation and keeps your feet from sweating. They’re easy to fit as, unlike most insoles for work boots, you select exactly the size you need so you don’t have to trim them manually. On top of that, thanks to their shock absorption feature, you do get the comfort you’re after. Designed after the shape of your feet, they assist your natural movement. This Airplus insole has a design that’s meant to offer you the necessary support in all the key areas while making sure it provides the comfort you need. I consider them a pair of good insoles for work boots. And that’s thanks to the gel cushioned heel which increases the comfort and the gel layer towards their front for those of us with sensitive feet. It’s shock absorbing so it reduces the impact on the ankle, heel and knee. You can use a scissor to adjust it anywhere between 6 to 12 UK sizes. Another great feature of this inner sole for work boots is the top cover with an antibacterial additive which protects against odour causing bacteria. With a 30-day money back guarantee in place and a 1-year warranty against manufacturers defects, it’s an insole well worth considering. I hope you find this article useful. We do know that your best work trainers or boots aren’t necessarily the most comfortable shoes to wear but, with the help of the right inserts, you can maximise your comfort. Now, have you ever owned a pair of these insoles? What’s your opinion in regards to the comfort they provide?